Ruth Scurr, whose biography of John Aubrey was shortlisted for the 2015 Costa Biography Award, introduces this fascinating 17th Century character. Ever since I finished writing my book about John Aubrey I have been missing his friendship. In his lifetime, Aubrey was a wonderful friend. Although he was born a long time ago – in the heart of England, in Wiltshire in 1626 – Aubrey was the kind of child we easily recognize today: shy, sensitive, drawn to older people, whose stories he listened to and remembered. 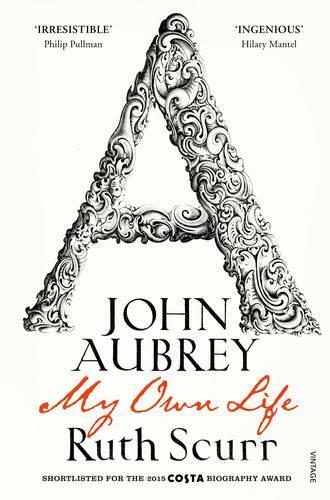 The publication of the paperback of John Aubrey: My Own Life has brought my friend back. He was a lonely boy, growing up in the country, without ready access to books. The stories he heard of the “olden times” fuelled his imagination. Aubrey’s grandfather told him about the poet Sir Philip Sidney riding on Salisbury Plain and being visited by his muse while on horseback. His grandmother told him stories about Elizabethan Bristol. He made friends with elderly servants who told him tales of the Reformation. From a very young age, Aubrey was collecting other people’s memories of a vanishing or vanished time. As he grew up, Aubrey became less shy and his talent for friendship broadened his circle of acquaintance. He went to Oxford, in 1642, just as the Civil War broke out, and was amazed by the “ingenious” company he found there. Aubrey was bookish, but also profoundly sociable. When the first coffee houses opened he was delighted to have the opportunity to go to a public place, discuss the news and make new friends. Aubrey’s interests were as wide and diverse as his friendships. He was an early archaeologist, book collector, scientific investigator and historian of art, architecture, clothing and handwriting. He was not pompous or territorial about his work, which he pursued in the spirit of a collaborative collector. What mattered to him was treasuring the memories and evidence of the past and passing it on to future generations. For Aubrey, biography was another form of collecting. He thought that what we want to know about past lives are the small details that make each life distinctive. He rejected the tradition of holding past lives up as examples to the living, instead recognizing that each life is unique and valuable in its own right. He knew that living memory is short and vulnerable. When a person dies our opportunity to ask them questions about their childhood and other formative events is immediately removed. Aubrey knew that we do not take enough time or trouble to question even our closest family and friends about their lives. Throughout his life, he did his best to remedy this. He assembled a wealth of information about his contemporaries and deposited it in the Ashmolean Museum. From there it was transferred to the Bodleian Library: a paper museum in which 17th century England comes back to life. Aubrey was a modest man who did not think the intricate details of his own life worth recording. He left a few scant pages of autobiographical writing, which he thought could be used in the binding of a book about someone or something else. Luckily, he also left two large volumes of letters to and from his wide circle of friends and his vast archive of unpublished work. Through these it is still possible to hear his voice and appreciate his generous, fun-loving, careful, inquisitive personality. Some biographers are friends with their subjects in real life – James Boswell who wrote the life of Samuel Johnson is always the best example. He had such privileged access, so many hours of observational opportunity. A friendship formed across the centuries is more mysterious. Because I chose to write Aubrey’s life in the form of a first person diary, I had to get as close to him as I could, despite the passage of time. There are many questions I would like to ask Aubrey and cannot. He knew that there are always gaps, even in the most examined or documented of lives, there are things we cannot know. Aubrey taught me to be entirely comfortable with those gaps. You don’t know everything about your closest friend and nor do I. But that doesn’t mean you don’t know enough to rescue at least something of that friend’s life from oblivion and pass on the memory of them to the next generation. 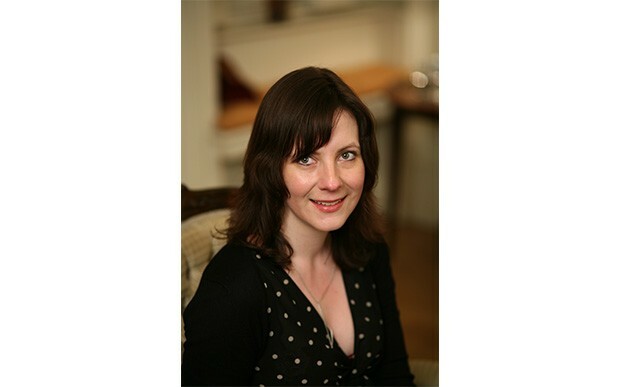 SHORTLISTED FOR THE 2015 COSTA BIOGRAPHY AWARDThis is the autobiography that John Aubrey never wrote.With all the wit, charm and originality that characterises her subject, Ruth Scurr has seamlessly stitched together John Aubrey's own words to tell his life story and a captivating history of seventeenth-century England unlike any other.